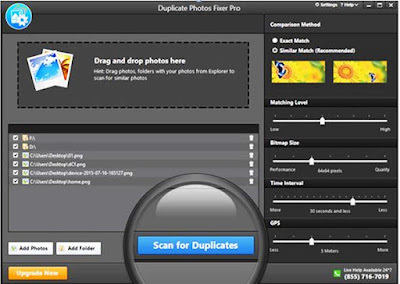 Duplicate photos consist of the largest share in total identical files on any of your device. You click hundreds and thousands of photographs and save them on your device to sort them later. Though this data remains on your device storage until you can’t face performance issues caused due to this abundant data. When you click pictures, it includes lot of same shots taken via burst mode or other ways. These identical photo files also accumulate during backup or sharing of photos using different apps. The issue related to duplicate photos is not limited to any device as you store them on your Windows, Mac, iPhone or Android device. In this article, we have discussed best duplicate photos remover tool to help you find and delete duplicate photos on Windows, Mac, and Android. 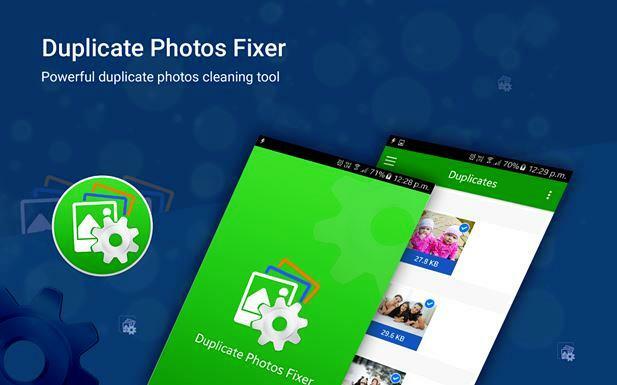 Use Duplicate Photos Fixer: Duplicate Photos Fixer is a simple yet effective tool that helps you organize your photo library seamlessly. Its powerful search engines find and clean all identical photo files even from the remotest corners of your device storage. This app is compatible with Windows, Mac, iOS and Android platforms. Multiple Scan Options: App helps you refine your search process by offering you multiple scan options. If you are on Android, you can select from camera images, a specific folder or full scan mode. On Windows, you can select desired folder or add photos directly. While on Mac, you can scan folder, iPhoto library and Photos app. This feature is useful to get instant and accurate results. Set Matching level of files: Here, you can find similar or exact looking files by tweaking matching level of the files. You can set it low to find similar photo files and high when you are looking for exact looking photo files. Alternatively, you can select default level. Instant Scan Process: App works on smart algorithms and powerful search engines to find identical photos instantly and accurately. It scans and deletes duplicate photo files from your complete device storage including external storage devices. Accurate Scan Results: App offers accurate scan results in groups where it keeps last files of the groups auto-marked to be deleted. Using “Unmark All” option you can select files manually to delete. Clear Cache: Using this feature on Android, you can clear cache data generated by this app. It will help you run fresh scan next time. Preview: App offers complete control over your data as it offers a preview option to preview files under scan results before you delete them. Here, it will display file size, image resolution, and path of the file. You can select any group individually to find all identical files in that group. Multi-lingual Support: App is designed to support multiple language options. It supports all major language options from around the world. Duplicate Photos Fixer is a versatile tool for different platforms including Windows, Mac, iOS, and Android. It helps you de-duplicate your photo collection to organize it in better way. Using this powerful tool, you can recover lot of valuable storage space effortlessly. It is also useful to reduce your manual efforts and time as it works automatically to provide instant and accurate results.